Let Golf N' Stuff Ventura make that extra special event the best ever! We offer a variety of affordable, fun, and interactive entertainment for all ages! With so much to do, including Miniature Golf, Lit’l Indy Raceway Go-Karts, Lazer Tag, Bumper Boats, Bumper Cars, and the best arcade in the county, you will barely have time to catch your breath! Our Birthday Parties are fun for everyone, but especially the Birthday Child, who gets to spin our Wheel of Prizes! So why bother with all the fuss? Have a blast at Golf N' Stuff! Our friendly sales staff will help you select the perfect party package for your child! Reservations (24 hours notice taken Monday thru Friday), deposit, and minimum of 10 required. Final confirmed number of participants required 24 hours prior to party. NO outside food/drinks allowed (you may bring a cake/cupcakes with party package purchase). Due to limited accommodations, party room times and pizza service times are only available on the hour from 12pm-7pm, no exceptions! 2 Hours Unlimited Use of: Miniature Golf, Lit'l Indy Raceway Go Karts, Bumper Boats and Bumper Cars! Unlimited Use of: Miniature Golf, Lit'l Indy Raceway Go Karts, Bumper Boats and Bumper Cars! Groups love Golf N' Stuff Ventura! We offer some of the best group rates, in one of the most beautiful settings in Southern California! In fact, you can actually feel the ocean breezes as you play Miniature Golf, ride our Lit'l Indy Raceway Go Karts, or enjoy any of the other fun attractions! 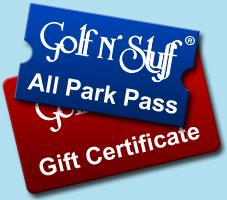 Golf N' Stuff provides great interactive fun for all ages, great customer service, and tremendous savings. So why not make your next group event, company picnic, or Holiday party, an affordable and extra memorable experience! Our group events bring out the fun in everyone! Miniature Golf, Lit'l Indy Raceway Go Karts, Bumper Boats & Bumper Cars! 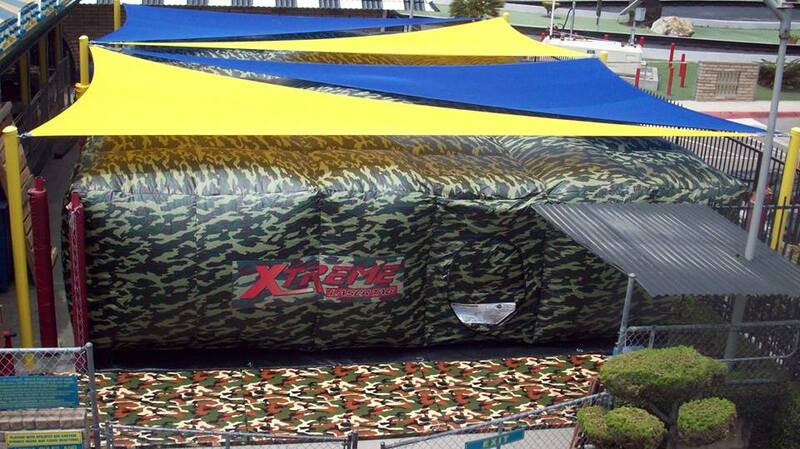 Why not try something fun, exciting, and unique for your next Company Picnic? Overseeing our beautifully landscaped Miniature Golf courses, our picnic area presents the ideal setting for all group events. We offer many entertainment options, a delicious Italian style catered meal, and a full array of video and prize games, which is bound to keep your group busy for hours! So make it easy on yourself and your budget at Golf N' Stuff Ventura! Turn your Feast into a Fiesta by adding on one of these Incredible Deals! Ask about additional Menu Items, Buffet Options, and Add-Ons! What better way to spend some quality time with friends and/or family than at Golf N' Stuff Ventura! Miniature Golf, Lit’l Indy Raceway Go Karts, Bumper Boats, Bumper Cars, video and prize arcade games, plus an Italian style catered meal will certainly put you in a festive Holiday mood! Want the fun and excitement of Golf N' Stuff all to yourself? Golf N' Stuff Ventura can arrange for your group to enjoy our park exclusively with or without food! To find out more about our Exclusive Use Program options, contact our Group Sales Department at 805-644-7131 ext. 211. Special minimum requirements and some restrictions may apply.